We offer investment advice on workplace plans as clients approach the retirement dates. We occasionally execute “in-service” withdrawals from workplace plans, while the clients remain employed, to implement strategies to manage portfolio risk as retirement gets closer. We manage IRA transfers and 401(k) rollovers from workplace accounts when clients ultimately retire. We assist in selecting and managing the investments in each retirement account. 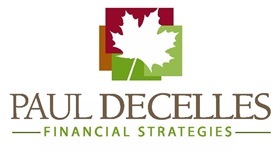 Retired clients typically draw monthly investment income from the accounts that we manage. We work diligently to make the monthly withdrawals as tax efficient as possible. Other important services that these clients appreciate are consolidating small accounts accumulated over a lifetime into fewer, larger accounts. Our clients learn that fewer accounts does not mean less diversification. Rather, this account consolidation allows us to apply a consistent, tax-efficient investment strategy over the household’s entire portfolio. Managing financially as a single individual after years of marriage presents unique challenges to those who’ve been widowed or divorced. We offer assistance with these new and difficult financial circumstances. Our community is served primarily by many successful small business owners. They are very busy and use our company to manage their unique financial risks and to establish retirement plans for themselves and their team of employees. As small business owners ourselves, we find these relationships very gratifying. We help these clients install retirement plans to recruit, reward and retain key employees. We meet their employees and enroll them in the new retirement plans and hold annual meetings to add new employees as plan participants. We pay particular attention to insurance planning with self-employed clients. Sufficient life insurance is very important to small business owners. Disability income insurance is also critical. As these business owners enter their early to mid-60’s it is important to consider long-term care insurance to protect the assets they have worked a lifetime to accumulate. The financial risk of nursing home confinement is often the most significant one to successfully retired small business owners. We use LPL Insurance Associates to offer competitive solutions for both disability income and long-term care insurance to our clients.